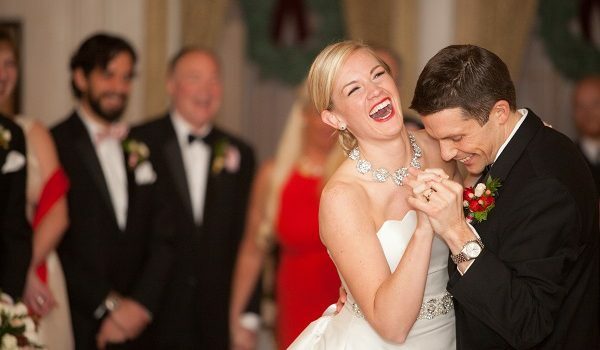 Lindsey and John’s winter wedding this past December included lots of smiles and sparkle. 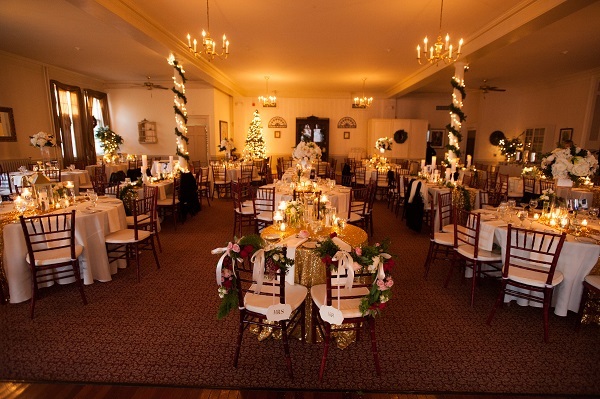 Their holiday wedding right before Christmas was truly magical full of love, laugher and family. We had a chance to catch up ahead of time but Lindsey was not living in Maine so the planning took place primarily by email. She was an absolute sweetheart and so relaxed. 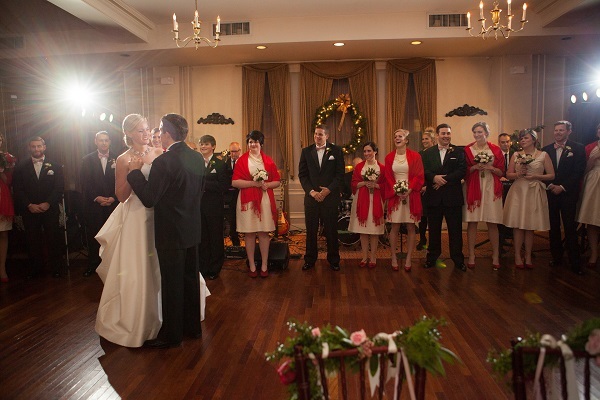 We are absolutely thrilled to have had the opportunity to share in Lindsey and John’s special day at the Portland Club. We met up with the wedding party to kick off a wonderful and classy reception following Lindsey and John’s ceremony at the Cathedral of the Immaculate Conception in Portland. 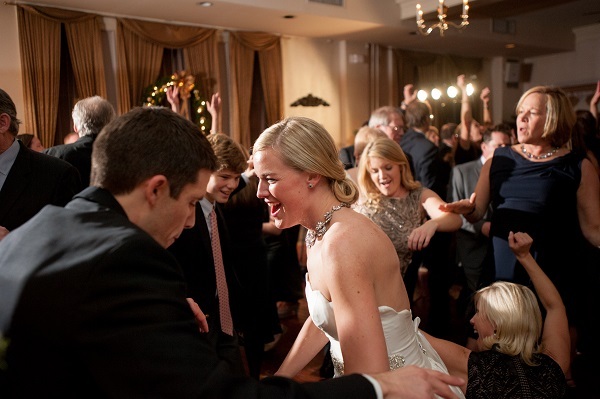 Following introductions, Lindsey and John headed to the dance floor for their first dance, Someone Like You. Once dinner and the emotional toasts were finished, the party kicked into high gear. 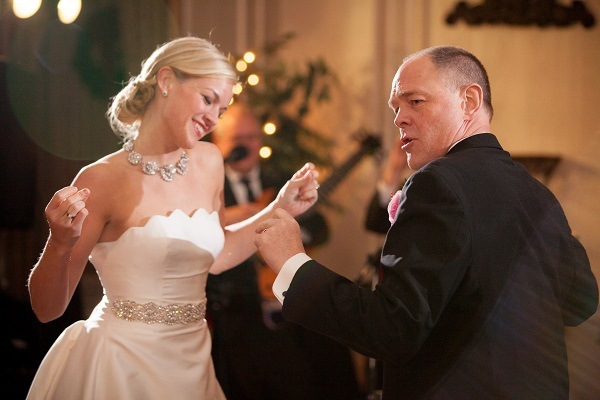 Lindsey and her Dad surprised everyone with their choreographed father/daughter dance using a pre-recorded medley of songs and John and his mom chose What A Wonderful World by Louis Armstrong performed by the band. 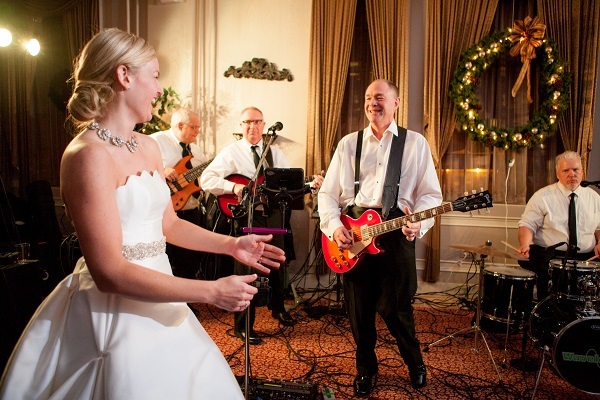 Lindsey’s dad, Lincoln, joined the band during rehearsal a week or so before the wedding to prepare for a special song that he wanted to play with the band. Lincoln had previously taken guitar lessons from Wavelength’s guitarist, Paul French, and was more than ready to get the crowd going to the Guns ‘N Roses rock song, Sweet Child of Mine. He rocked it of course! And then there was one more surprise. 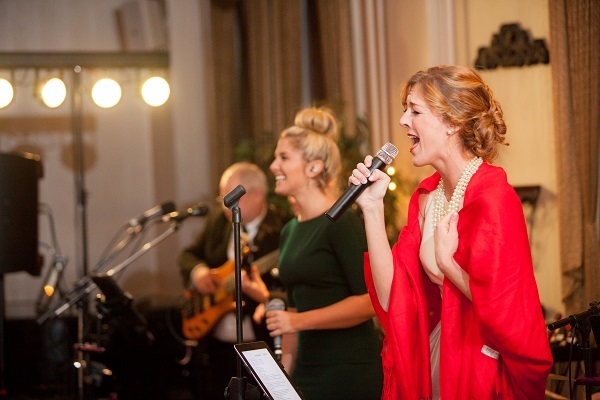 Lindsey’s sister and maid of honor, Ali, sings with the band. She was fantastic! 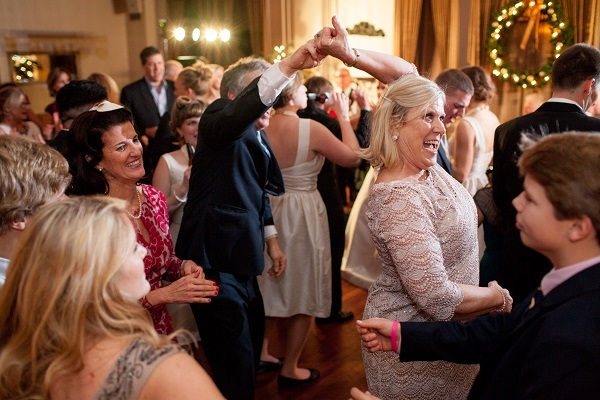 This is one of those weddings that truly was personalized and incredibly fun. Lindsey and John, thank you so much for having us celebrate with you. Congratulations! It is a privilege to share Whitney and Denise’s photos from emilie inc. photography. Visit the emilie inc. blog for more. 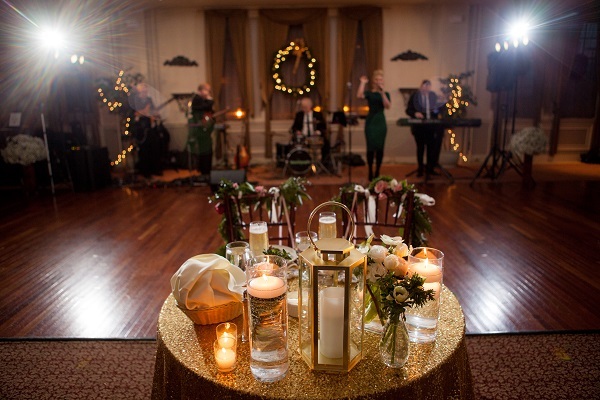 Lindsey and John’s love story and wedding video has recently been posted on McCormick Media. It is just beautiful! Watch it here.